Hand and Stone Massage and Facial Spa, a Philadelphia-based franchise, will open its doors on Drexel University’s campus May 2. The spa, located on the second floor of 3200 Chestnut Street, houses 8 customizable treatment rooms: six single rooms, one couples room and two rooms for the estheticians. “Our clients will be comfortable, relaxed and rejuvenated when they get their services,” owner Jason Martini said. Martini went on to explain the way the spa operates: Upon arrival, clients are greeted by an associate and given an intake sheet. The intake sheet provides the opportunity to choose the heat of the electric table, how loud the music is, the temperature of the room and the firmness of their massage. According to Martini, the dimly lit, low pressure environment offers a long list of services from fully licensed, certified and insured therapists and estheticians including: massages, foot treatments, facials, and waxing. Open to the public seven days a week with extended hours, the spa places emphasis on being available to help its clients feel better. “We are trying to help people who really want to have a wellness regimen and in the interim, we will find a way to save them money,” Martini said. 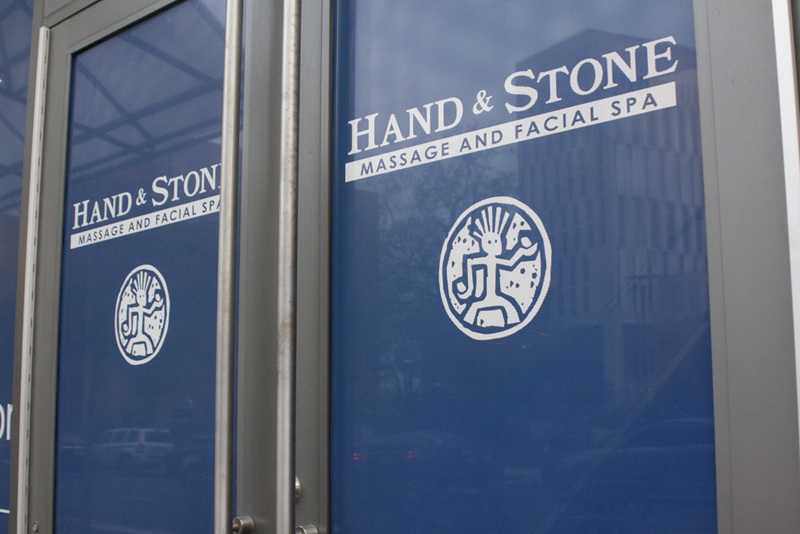 Although Hand & Stone Massage and Facial Spa Franchise boasts over 250 locations, the University City location will be the first site on a campus. Therefore, Martini and staff are excited to be involved with the university and its surrounding hospitals within the next year. To introduce Philadelphia to the University City location, Hand & Stone will be running a Facebook promotion that offers free services during opening week. For more information, like their Facebook page at ‘Hand and Stone University City’ and pay close attention for a chance to win either a free massage or facial.